. يقدم Tropical Palms Inn خدمات لا غبار عليها وكل أشكال اللياقة وحسن الضيافة اللازمة لإسعاد ضيوفه. لضمان راحة ضيوفه، يقدم الفندق الخدمات التالية: واي فاي مجاني في جميع الغرف, توصيل من البقالية, خدمة غسيل ذاتية, تسجيل وصول/خروج سريع, تخزين الأمتعة . ادخل إلى واحدة من الغرف 10 وتخلص من عناء نهار طويل بمساعدة مجموعة كبيرة من الخدمات كمثل تلفزيون بشاشة مسطحة, اتصال لاسلكي بالإنترنت, غرف لغير المدخنين, مكيف هواء, شرفة/ تراس الموجودة في بعض الغرف. إن مسار جولف - ضمن 3 كم, حمام سباحة خارجي, صيد السمك, حديقة هو المكان الأمثل في الفندق للاسترخاء وتفريغ طاقتك بعد نهار طويل. يحظى فندق Tropical Palms Inn بموقع ممتاز وخدمات يصعب منافستها. 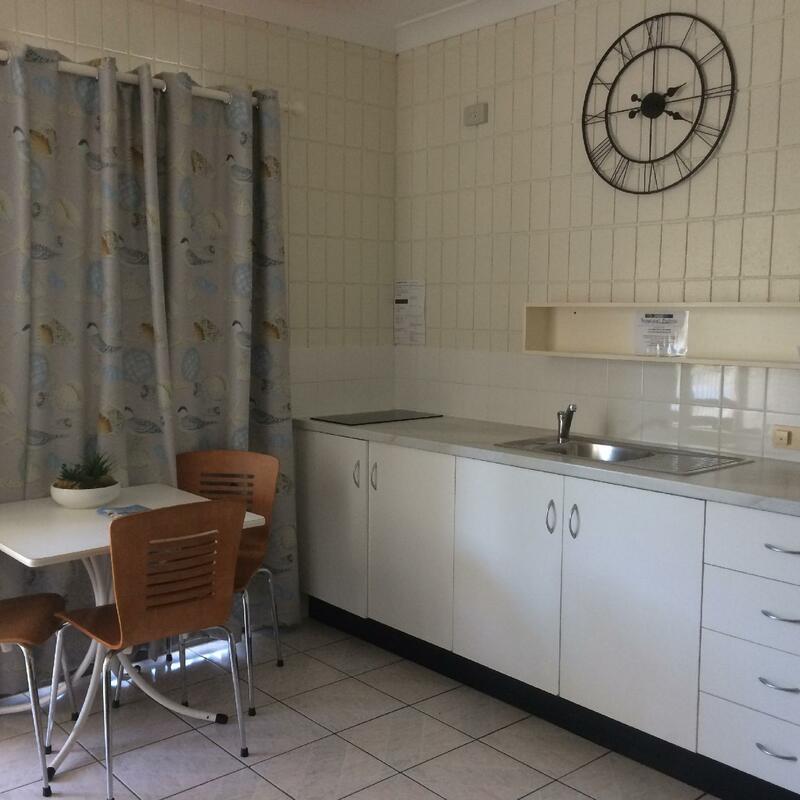 This was a lovely Motel in a great position and very close to everything Picnic Bay has to offer. We stayed for a couple of days and room had everything we needed including a full size fridge and very clean. The pool and barbecue areas were very clean and comfortable and full of bird life. If staying for extended period i would advice doing a Coles online shop and getting all groceries delivered on day of arrival or following morning as groceries shopping is in the town. Would recommend to all size groups and we will defiantly be going back. First time user of this facility. Will return. 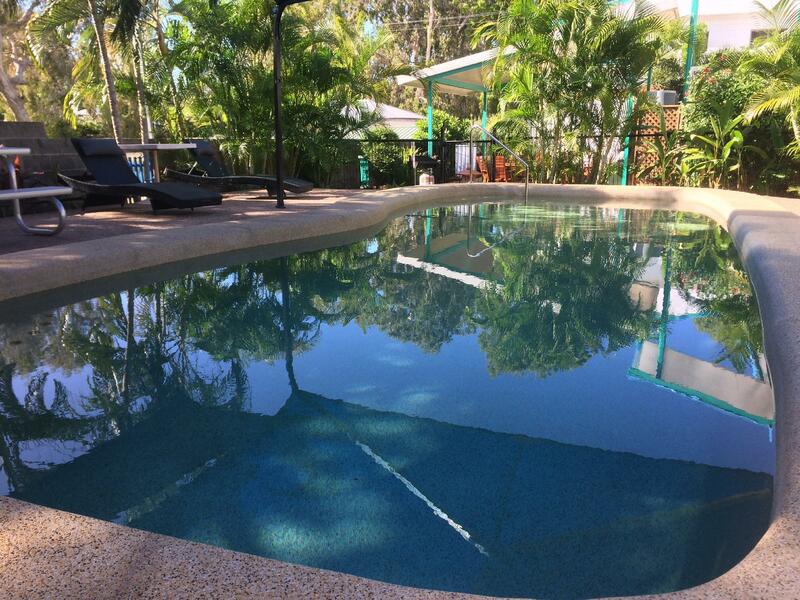 Tropical Palms Inn is close to the bus stop giving easy access to all Magnetic Island attractions. Our room was very clean and owners were friendly and helpful. The room has all requirements. The pool, the fans, the beds also were good. Car parking was very limited, but the stay was good overall. Hard to find where to put the filled rubbish bag/s. We had a great stay. 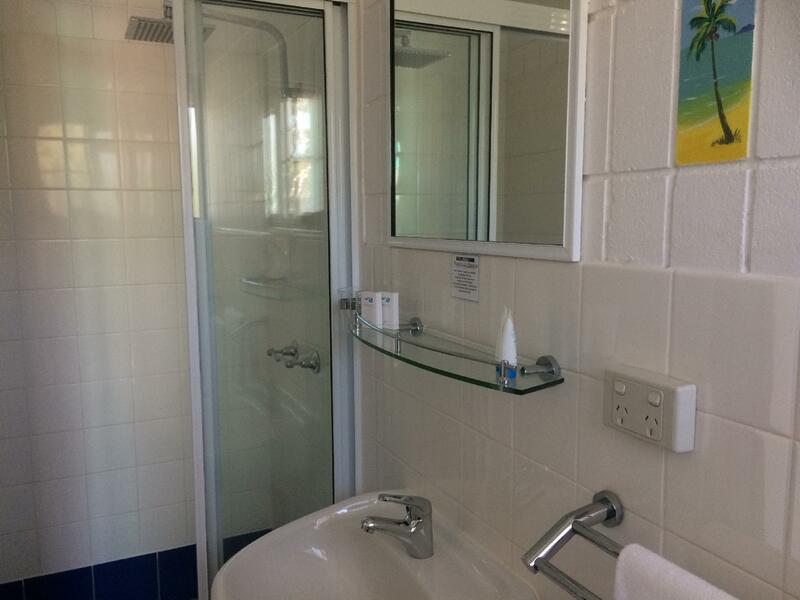 The self contained room had everything we needed, beds were comfortable and bathroom very clean and serviceable. 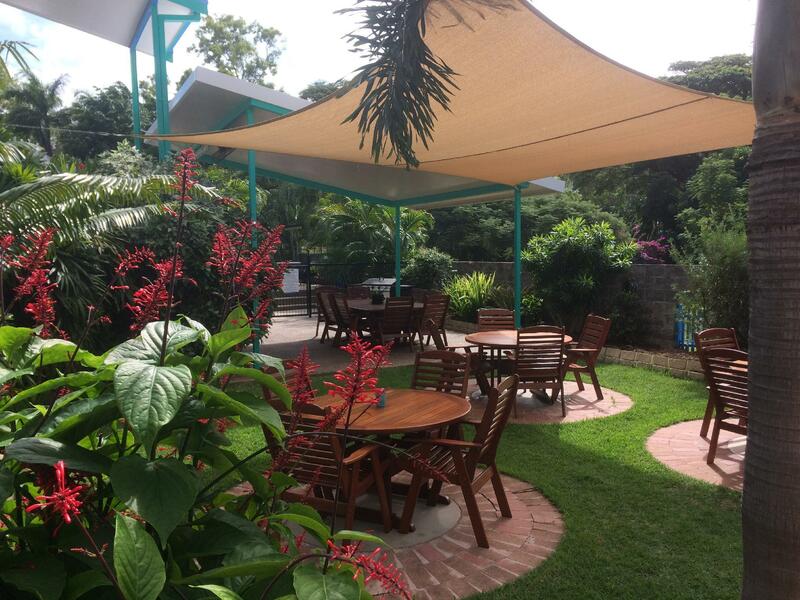 All rooms overlook a tropical courtyard with BBQ facilities, a few sets of table and chairs, swimming pool and laundry. Pool, owners and location to beach. We had a gorgeous stay at Tropical Palms Inn. The ids absolutely loved the pool, we had a beautiful meal at the Picnic Bay Hotel and enjoyed a lovely day at the beach which is a mere three minute stroll away. Would love to return. Superb air con performance; shower head is efficient; shower box and area is spacious. we enjoyed our stay, and decided to stay another night. I would book again. very quiet , great place , clean , friendly owners and great facilities .